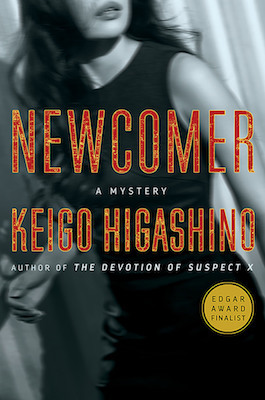 The following is an exclusive excerpt from Newcomer, by Keigo Higashino, Japan’s greatest living writer of traditional mysteries, whose puzzlers have satisfied international readers for decades. In the following passage, a man experiencing marital disharmony learns his problems may be much worse when a detective comes calling about a murdered woman that his wife may have known better than she’s letting on. People tended to be more jealous of him for his young wife than sympathetic about the friction between her and his mother. Naoya had met Maki at a sleazy hostess club. She’d been working there, and he’d come in with a friend. That night she’d been wearing a pale blue dress that showed off her tanned skin to perfection. She wasn’t classically good-looking, but she had unforgettably lovely eyes. A skilled conversationalist, she listened wide-eyed and with rapt attention to whatever Naoya had to say (which, frankly, wasn’t all that interesting). She was cheerful, her features expressive, and her laugh sounded like cascading marbles. When it came time to leave, Naoya was already head over heels in love with her. He went back to the club by himself the next day, and the day after. His salary was by no means lavish, but since he lived in the old family home, he had no living expenses and a good amount saved for a man of his age. He believed that Maki was someone well worth squandering money on. When the friend with whom he had first gone to the club tried to warn him off, Naoya wasn’t interested. Guessing that everyone else would probably say the same thing, he decided to keep his mouth shut and keep going to see Maki discreetly. Rather unexpectedly, the next warning had come from Maki herself. By Naoya’s modest standards this was a bold declaration. And it worked like a charm. “Why don’t we go on a date one weekend?” Maki said. At first, Naoya was sure she was pulling his leg, but then she emailed, asking him to pick a day. On their first date they went to Tokyo Disneyland. In daylight, Maki looked healthier and less childlike than in the dark of the nightclub. She confessed that at the club she pretended to be three years younger than her real age. She was actually twenty-four. To Naoya, the difference seemed hardly worth lying about, but Maki insisted that, by pretending to be younger, she got better treatment from both the customers and the club’s management. Naoya couldn’t have cared less one way or the other. 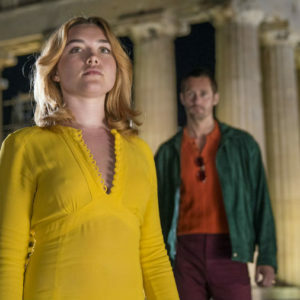 He was in heaven just being able to date her. As their dates became more frequent, Naoya didn’t just want her to be his girlfriend, he wanted her to leave her job at the club. “I wish you’d just quit,” he came out and said once. Naoya had been to her apartment a few times, and she was right—the average office worker would never be able to afford it. A look of surprise came over Maki’s face; then she gave a shy smile, before bursting into tears and draping her arms around his neck. Naoya introduced Maki to his mother, Suzue, a few days later. Things went okay. Suzue displayed a certain distaste when she heard about Maki’s nightclub job, but not enough to veto the marriage. As for Maki, she didn’t seem to dislike the idea of living with his mother and helping out at the family china shop. Naoya felt sure that everything was going to be fine. At first, everything went swimmingly, and Maki enjoyed helping out at the shop. Things, however, took a serious turn for the worse for a most unexpected reason. A cleaning rag was the cause of it all. At the end of last year, Naoya got home from work one day to find Suzue sulking in the shop. “Where’s Maki?” he asked. “No idea,” came the curt reply. Sensing that something had happened, Naoya went upstairs to their bedroom. There he found Maki in a flood of tears, a cloth clutched in her hands. “What’s wrong?” asked Naoya. One glance was all Naoya needed to realize what had happened and to grasp the gravity of the situation. One glance was all Naoya needed to realize what had happened and to grasp the gravity of the situation. The rag was made from several pieces of toweling chopped up and sewn together. Naoya immediately recognized the original white towel with the Hello Kitty pattern. Maki was a Hello Kitty fan and an avid collector of the branded merchandise. The towel had been part of her collection. She’d never have turned it into a cleaning rag; Suzue had to be the guilty party. Naoya went back down to his mother and held the rag in front of her. “Why did you do this?” he demanded angrily. Suzue didn’t feel guilty and wasn’t inclined to apologize. Had Maki decided to let bygones be bygones, things might have calmed down. But Maki had no intention of backing down. She told her husband that she wouldn’t address another word to his mother until she apologized. When Naoya relayed this to Suzue, she stayed firm. “She’s free to do whatever she likes,” she declared. Naoya’s married life, which had been sailing along so smoothly, was suddenly buffeted by storm winds. Maki returned to the china shop with a bag from the supermarket. She was dressed in a T-shirt and ripped jeans. Although the rips were part of the design, Suzue had trouble grasping the concept of deliberately distressed clothing. A couple of weeks ago, the two women quarreled when Suzue criticized the jeans for being shabby. Naoya aimed the electric fan directly at her. Did you really need to say that? Naoya thought. Maki’s remark was aimed squarely at Suzue. “I think I’ll go sort out the payment slips,” Suzue announced. Maki scowled. Without so much as a glance in her direction, Suzue slipped off her sandals and vanished into the room behind the shop. “What was that about redoing the shelves?” asked Maki. “I know, but just for today, why don’t we be nice and let Mom have her way.” Naoya placed his hands together in a beseeching gesture. Maki pouted back at him. A customer! Naoya thanked his lucky stars. The man wore a pale blue shirt over a black T-shirt. He looked to be in his early thirties. “You must be Mr. and Mrs. Yanagisawa?” the man said, looking first at Naoya, then at Maki. Maki handed him the card. Their visitor was a detective from Nihonbashi Precinct by the name of Kyoichiro Kaga. “Do you know a woman named Mineko Mitsui?” Kaga inquired. “Mitsui? No, never heard of her,” answered Naoya, glancing over at Maki. Kaga’s face stiffened slightly. He looked at each of them in turn. Maki gave a shocked gasp. “How, why?” she murmured. “Murder!” Naoya exclaimed, then looked back at his wife. Her jaw had dropped and she gaped back at him. “You said she came here ‘from time to time.’ Can you give me a clearer idea of what you mean? About once a week?” Maki shook her head. Naoya peered over his wife’s shoulder. It was a his-and-hers set for married couples. The chopsticks for the man were in black lacquer, and those of the woman, vermilion. Both were decorated with a cherry blossom motif in real mother-of- pearl. “Thank you,” said Kaga, as he handed the catalog back to Maki. “Oh, no, no, no.” Kaga smiled and waved his hand dismissively. Maki cocked her head thoughtfully, then shook her head. Naoya wondered why the detective was being so persistent. “Okay. Look, if you do remember anything, call me. My cell phone number’s on the back of my card. No detail’s too small,” Kaga said, his eyes boring into Maki’s face. “Thank you very much. Sorry to trouble you.” Kaga shot each of them a look and left the shop. Naoya immediately went out to fetch a newspaper and read up on the murder. Because Naoya only worked in the store on Saturdays, he’d never met Mineko Mitsui. With Suzue out at the meeting of the local shop owners’ association that night, it was just the two of them for dinner. Naoya was enjoying the uncharacteristically peaceful atmosphere, and his beer tasted better than it had in months. Maki frowned, then shrugged her shoulders as if sloughing off the whole business. “Did he really say my name . . . ?” Maki began clearing the empty dishes off the table. Naoya had just crossed his arms over his chest, when a voice sang out, “It’s me. I’m home.” Suzue was back. Discussing the murder was now off the menu. Maki vanished into the kitchen where she started busily washing the dishes. “I had something there,” she said, sitting down at the table. Naoya glowered at Suzue, who was nonchalantly brewing some green tea. Maki emerged from the kitchen and silently removed the dish of pickled radish. She put it in the refrigerator and left the room, still without saying a word. Hearing her charge noisily up the stairs, Naoya heaved a weary sigh. Suzue picked up the newspaper from the table. Suzue listened intently as Naoya gave her an account of the detective’s visit. He was careful not to mention the fact that the detective knew Maki’s name; that would only be asking for trouble. “Now that you mention it, the proprietor of Kisamiya said that a detective had come around his place, too.” Kisamiya was a cutlery shop with a history stretching back to the Edo period. It sold such things as knives and shears, all handmade by in-house craftsmen. It also offered a knife-sharpening service. What was the significance of Mineko Mitsui buying a pair of kitchen scissors? Naoya couldn’t see any link to the murder, but the police must have a reason for investigating the matter. Suzue seemed to be far more eager to discuss her upcoming trip than the murder case. After she finished her tea, Naoya left the table. If he spent too much time with his mother, Maki would only give him a hard time when he got upstairs. From NEWCOMER. Used with the permission of the publisher, MINOTAUR BOOKS. Copyright by Keigo Higashino, translation copyright © 2018 by Giles Murray.